Bhubaneswar to host Minerva Punjab FC's first AFC Cup home match! Home / International Football / Asia / Bhubaneswar to host Minerva Punjab FC’s first AFC Cup home match! Bhubaneswar to host Minerva Punjab FC’s first AFC Cup home match! The saga of where last seasons I-League champions Minerva Punjab FC will play their AFC Cup home matches has got some good news. 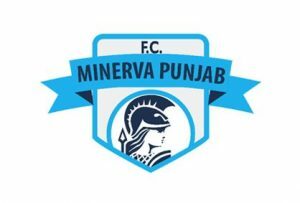 The Odisha government has agreed to allow Minerva Punjab FC to use the Kalinga Stadium in Bhubaneswar on May 1 for their first home match against Manang Marshyangdi of Nepal, but they would have to find an alternative venue for their two remaining AFC Cup home matches against Chennaiyin FC (June 19) and Dhaka Abahani Limited of Bangladesh (June 26). This comes after the AIFF had informed Minerva Punjab FC that the AFC is fine for it to find an alternative venue for their AFC Cup home matches unlike the statements from Minerva Punjab FC co-owner Ranjit Bajaj, who had said that the AFC Cup wouldn’t allow a change of home venue. Now with the first home match sorted, Minerva Punjab FC have time to sort out their two remaining home matches at an AFC cleared stadium. With this piece of positive news, Minerva Punjab FC’s threat of pulling out of the I-League is also off the table. Previous VIDEO – 442oons: Liverpool FC 2-0 FC Porto – Salah foul (Parody)! Next VIDEO – Superpower Football: Patrick Owomoyela – BVB could come to India!